SUVs are very much the in-thing in the contemporary car industry. Nowadays, it seems every car maker sells at least one, with the premium brands in particular selling them by the thousands. As a result, with Jaguar still being a relative minnow in the executive car market, an SUV was perhaps the only guaranteed way to boost sales substantially – hence where the F-Pace comes in. Despite Jaguar’s inexperience with SUVs, though, the F-Pace has emerged as one of the finest high-end cars of its type on sale today. Though the likes of the Porsche Macan and the Land Rover Range Rover Sport may just about have the edge, but the margins are minimal, and anyone who goes for the Jaguar over its main rivals will be extremely satisfied with the F-Pace. The Jaguar F-Pace is unsurprisingly a very commodious car. Being one of the largest SUVs of its type on the market, the Jaguar F-Pace is unsurprisingly a very commodious car. Bar the slightly narrow middle seat in the rear row, there’s plenty of space for passengers of practically all dimensions to feel comfortable in, with lots of head and leg room all around. The only big downside when it comes to occupant practicality is the transmission tunnel that slices that eats into the foot space available for the passenger using the middle back seat. Jaguar does at least win back some extra brownie points by supplying the F-Pace with many sizeable storage compartments. Along with the obligatory spacious door bins on all four doors, the glovebox is also a handy size, and all models get netted pockets on the backs of the front seats and a good sized cubby under the center arm rest. The 34 cubic feet trunk capacity is also extremely big for this class (and marginally more than what a Mercedes-Benz GLC can provide), and we’re impressed with how the opening’s nice and wide with no load lip to speak of, and the 40:20:40 rear seats fold down almost completely flat if you need even more cargo carrying capacity. Build quality and a smart design are also necessary requirements, and Jaguar has for the most part succeeded in these areas. Being a premium car, though, the Jaguar F-Pace needs to be more than just a spacious place to spend time in. Build quality and a smart design are also necessary requirements, and Jaguar has for the most part succeeded in these areas. Though there are some plastics we think aren’t quite up to scratch in a car with a starting price of $41,000. The remainder of the materials are of a good quality, and the overall fit-and-finish and the relative simplicity of the design gives the F-Pace’s interior an upmarket and premium feel. The Audi Q5 is still the king in this area, but the margin isn’t as big as you may have first expected. It’s only some suspect ergonomic touches that irritate us a bit. For instance, it’s extremely unusual to see controls for the electric windows mounted on the top of the door card, and the placement means they’re a bit awkward to use initially. The touchscreen interface is also a bit sluggish and unintuitive for our liking – though we will concede it’s miles ahead of what Jaguar used to offer on now-discontinued models. 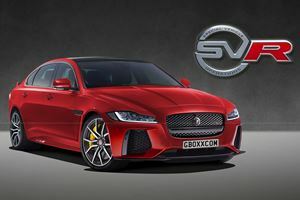 Now, on top of being comfortable and refined, vehicles like this from brands with such a sporting reputation as Jaguar also need to be enjoyable to drive. Though SUVs were once known for not being especially great to drive, the contemporary perception of cars of this ilk is very different. Now, on top of being comfortable and refined, vehicles like this from brands with such a sporting reputation as Jaguar also need to be enjoyable to drive. And, we’re pleased to report, the Jaguar F-Pace succeeds in this area. Whilst we do have a very minor grumble with the low speed ride (which can get a bit bumpy and fidgety at times – especially on F-Paces with the larger wheel options fitted), the rest of the package is exceptionally well judged by SUV standards. Body lean when cornering, for instance, is very well controlled, the steering’s precise and consistently weighted as you turn the wheel more, and overall the Jag is a pretty enjoyable car to drive. The Jaguar F-Pace is a pretty nice companion to have on longer journeys. In our opinion, though, the Jaguar is even better when you take it out onto faster flowing roads. Whereas the ride was a bit iffy at lower speeds, it’s at the kind of pace you’ll experience on more open stretches of asphalt where the Jaguar F-Pace really excels in terms of ironing out the bumps in the road. Factor in the impressive noise insulation levels and the comfortable cabin we mentioned earlier, and the Jaguar F-Pace is a pretty nice companion to have on longer journeys. Shame, then, that there are some noteworthy issues regarding visibility. Though the windshield and the side windows are fairly expansive, the thick pillars do compromise the view out a little bit. It’s most apparent with the tiny rear window, which makes reversing a little bit – especially for those who opt for the base-spec F-Pace and don’t specify the optional reversing camera (which is mercifully standard equipment on the rest of the range). The main differentiating factor, however, is that the F-Pace only comes with two engine options. More often than not, it surprises us by just how exhaustive and expansive the engine ranges for some cars are. In most cases, there are generally one or two units that’ll appeal to a majority of buyers, with each offering subtle differences such as refinement, power and fuel economy. With such a trend generally permeating through the auto industry, it’s no surprise to learn the Jaguar F-Pace also has a pair of good engines. The main differentiating factor, however, is that the F-Pace only comes with two engine options. Further exacerbating this lack of diversity is the fact they occupy two completely different ends of the mainstream engine spectrum: afour-cylinder diesel, and a six-cylinder gasoline engine. 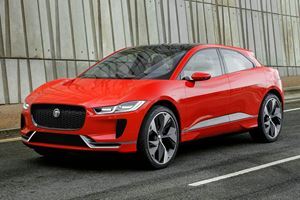 There’s nothing in between (at least for the time being – the four-cylinder gasoline engines found in the Jaguar XE sedan are expected to be added at some point), which potentially pigeonholes buyers into an engine option they didn’t necessarily want to have. We expect a lot of Jaguar F-Pace buyers will end up going with the diesel, purely on the grounds of it being the more cost-effective choice (like-for-like, diesel F-Paces are about $2,000 less expensive to buy than their gasoline equivalents). With claims of 26mpg and 33mpg for the city and highway respectively, the diesel is far more efficient than the 18/23mpg gasoline engine, and the 318 lb-ft of torque the four-cylinder develops is enough to bring the F-Pace up to speed – along with defying the 180-hp power output. No matter what engine you go for, you’ll only have access to an eight-speed automatic transmission. Even more interestingly, the diesel’s also surprisingly hushed. Admittedly, there is a little bit of clatter when you work it hard, but the engine does settle down at lower revs. As a result, when you factor in the refinement levels we mentioned earlier (along with the fairly good highway economy stats), the diesel suits the F-Pace’s more comfort-orientated aspects rather well. Of course, if money is no object, then the six-cylinder choice will certainly have its appeal. With 340-hp and 332 lb-ft of torque to play with (rising to 380-hp in the flagship ‘S’ spec), it’s pretty quick, and – as a result of it being a six-cylinder gasoline engine – it’s smoother and more refined than the diesel. Plus, in ‘S’ spec, it even sounds rather nice – if perhaps a little bit muted for our tastes. Do bear in mind, though, that the 380-hp engine is exclusive to the top-spec ‘S’ trim, so you’ll need to fork out just under $57,000 to have said engine in your F-Pace. For sure, we know we mentioned earlier about ‘money no object’ options, and it is noticeably less than what you’d pay for an equivalent Porsche Macan, but that’s an awful lot of money to spend on an engine that’s not much better than the standard version you can buy for even less money. No matter what engine you go for, you’ll only have access to an eight-speed automatic transmission. Thankfully, said gearbox is very good; changing gears cleanly whether you’re using the shifter paddles behind the steering wheel or leave the system to your own devices, and a well-judged match to both engines’ characters. Put simply, it’s a great automatic gearbox. Neither variant comes with items like heated seats, built-in navigations, satellite radio or parking sensors as standard. We understand that entry-level trims aren’t meant to be lavished with technology, but we do think Jaguar’s been a bit excessive in this regard with the two base specs of Jaguar F-Pace. 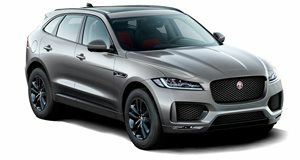 Neither variant comes with items like heated seats, built-in navigations, satellite radio or parking sensors as standard (which does take the biscuit a bit, considering the most basic Jaguar F-Pace you can buy costs $40,990), and a reversing camera is a $400 optional extra on the entry level F-Pace. As a result, we reckon you should either ignore the two lower spec trims and go for the Prestige model (a tad pricey at a starting price of $48,700, yes, but it has all of the above equipment and more), or load up the entry level model with all the optional extras if you can make do without much of the interior and exterior trim choices – for instance, the base car only has access to one multi-spoke alloy wheel design that we feel doesn’t suit the Jaguar F-Pace at all, and could have a slight impact on the car’s resale value. We’re also really impressed with Jaguar’s warranty programs for the F-Pace. Thankfully, the price for the Prestige is actually fairly competitive when compared with like-for-like rivals. Even better, all Jaguar F-Pace models come fitted with a decent array of safety equipment, with front, side and curtain airbags, hill start assist, a trailer stability assist, traction control, stability control, emergency brake assist and a torque vectoring system that’ll help trim your line through a corner (thus, in theory, keeping you on the road). We’re also really impressed with Jaguar’s warranty programs for the F-Pace. The entire car is covered by a five-years/60,000 miles warranty, and Jaguar also offers ‘complimentary scheduled servicing’ throughout the same duration of the warranty. In fact, the only issue we do have concerns residual values: as the Jaguar F-Pace is a brand new car, with no direct predecessor, it’s hard to judge how the used market will respond to the car. 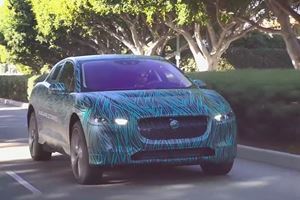 Considering Jaguar’s improvements in brand image and reliability ratings, along with the demand that’s seemingly out there for new F-Paces, and it’s likely this SUV will retain a fair chunk of its value come resale time. Coincidence or just common business sense? For one, it won’t cost six figures.